Headstone stone maker: W. & D. New Arklow. 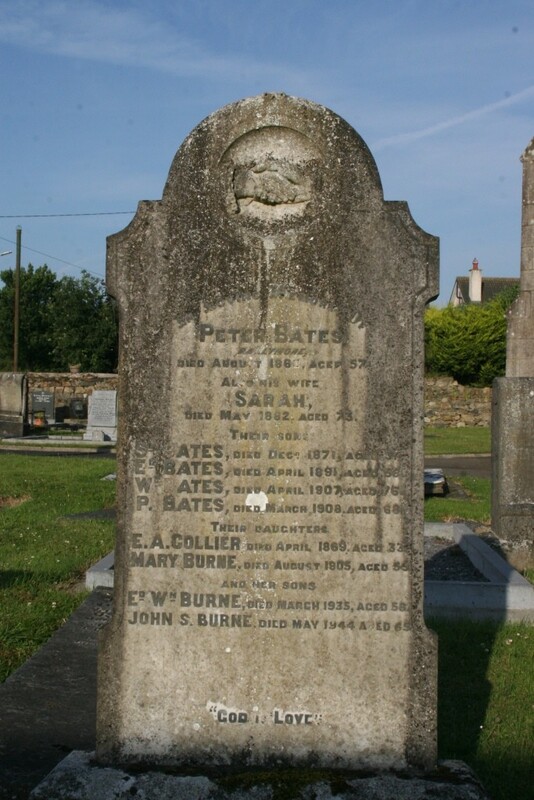 In loving memory of Peter Bates of Ballymore died August 1860 aged 57. Also his wife Sarah died May 1882 aged 73 . Their sons, Sl. Bates died Decr. 1871 aged 31. Ed. Bates died April 1891 aged 56. Wm. Bates died April 1907 aged 76. 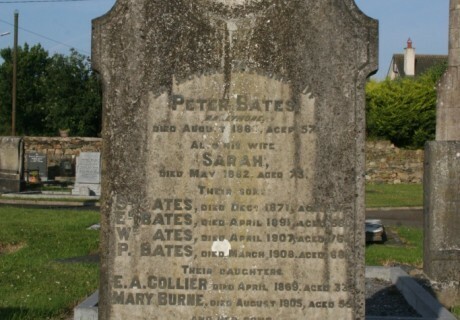 P.Bates died March 1908 aged 68. Their daughters E. A . Collier died April 1869 aged 33. Mary Burne died March 1905 aged 55 and her sons Ed. Wm. died March 1935 aged 58. John S. Burne died May 1944 aged 65.